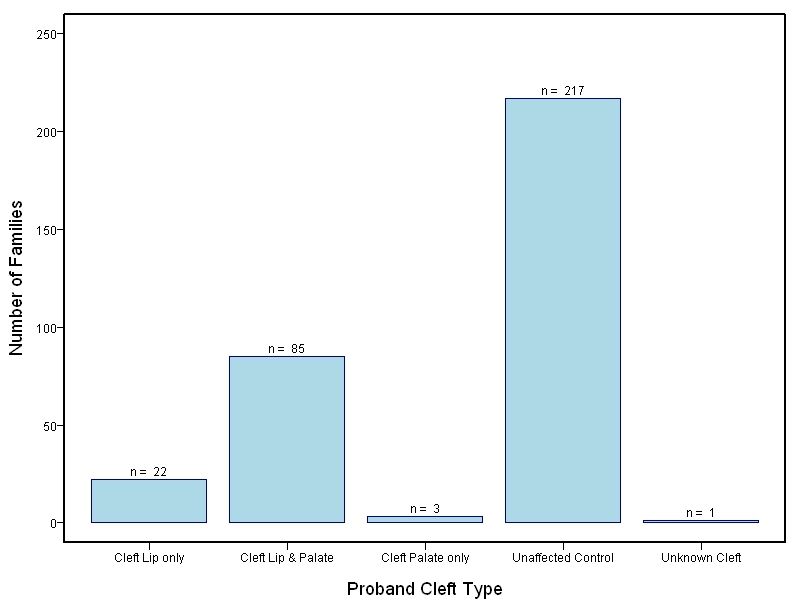 This study from the University of Pittsburgh’s Center for Craniofacial and Dental Genetics (www.ccdg.pitt.edu) provides an opportunity to investigate the genetics of orofacial clefts (OFCs) in one set of families ascertained in Guatemala. Orofacial clefts (OFCs), particularly cleft lip with or without cleft palate (CL/P) and isolated cleft palate (CP) are a major public health problem, affecting one in every 500-1000 births worldwide thus representing the most common facial birth defect and one of the most common of all congenital anomalies. CL/P is a major structural birth defect that is notable for significant lifelong morbidity and complex etiology. The extensive psychological, surgical, speech and dental involvement emphasize the importance of understanding the underlying causes of CL/P. Therefore, many research groups have attempted to elucidate the etiology of CL/P, with some recent success by our research group and others (see Beaty et al., 2010, 2011; Dixon et al., 2011). 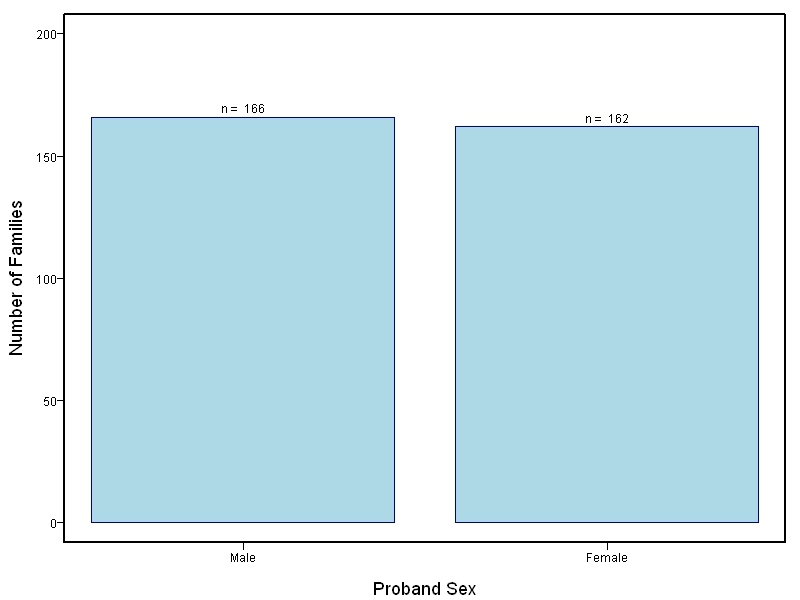 It is clear that CL/P can occur as part of Mendelian syndromes, that certain chromosomal abnormalities include CL/P in the phenotype, and that certain teratogens can increase the risk of having an offspring with CL/P. However, phenotypes of known etiology comprise only a small portion of all individuals with a CL/P or CP, and the major focus of research into OFCs is to develop an understanding of the etiology of nonsyndromic (NS) forms of clefting. This study is part of the Gene Environment Association Studies initiative (GENEVA), which was developed through the trans-NIH Genes, Environment, and Health Initiative (GEI). A genome-wide panel of 610,000 SNPs was genotyped at the Broad Institute to be comparable to our other pertinent GENEVA studies that are also part of dbGaP (dbGaP accession number phs000095, "Dental Caries: Whole Genome Association and Gene x Environment Studies" and dbGaP accession number phs000094, "International Consortium to Identify Genes and Interactions Controlling Oral Clefts"). The goal of this study is to investigate genetic determinants to OFCs in a novel study population. To date, most genetic studies of OFCs in Caucasians and Asians. The Guatemalan population under study is rural and ethnically mixed with a high proportion of Native-South-Americans. Thirty-six Guatemalans from this dataset were also part of the recent GWAS studies of cleft lip and cleft palate (Beaty et al., 2010 and 2011, dbGaP Study Accession: phs000094, "International Consortium to Identify Genes and Interactions Controlling Oral Clefts"). Genotyping was performed at the Broad Institute of MIT and Harvard. The study was supported by the National Institute of Dental and Craniofacial Research (NIDCR, U01-DE018903). Data cleaning and harmonization were done at the GEI-funded GENEVA Coordinating Center at the University of Washington. Information on how to obtain individual level data is available on dbGaP. Genotyping and quality control methods are available on dbGaP and are briefly described in Wolf et al. Genome-wide association studies in dogs and humans identify ADAMTS20 as a risk variant for cleft lip and palate. PLoS Genet. 2015 Mar 23;11(3):e1005059. Due to the heterogeneous family structures in our Guatemalan cohort, we performed an association analysis using the DFAM test implemented in PLINK, which integrates a standard TDT, discordant sib-TDT, and Cochran-Mantel-Haenzel clustered-analysis for case-control testing. Inclusion criteria for SNPs were minor allele frequencies greater than 5%, genotyping efficiency greater than 90%, and Hardy-Weinberg Equilibrium p-values greater than 1.0 x 10-6. The regional association plot for the association signal on chromosome 12 was created using LocusZoom with Guatemalan founders for the study population serving as the reference for linkage disequilibrium. For this region only, SNPs were imputed to the 1000 Genomes reference sample using IMPUTE2. 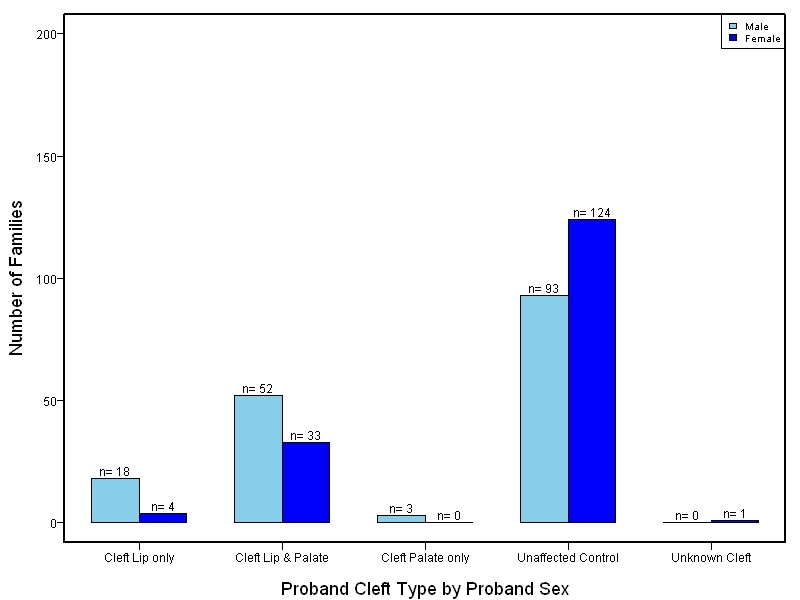 This project was a GWAS of orofacial clefts in a Guatemalan population. Due to the heterogeneous family structures and relatively small sample size overall, the results database contains association results for CL/P using the DFAM method. Custom plots for regions of interest can be generated and plotted with LocusZoom. PubMed listing for the publications associated with this study.